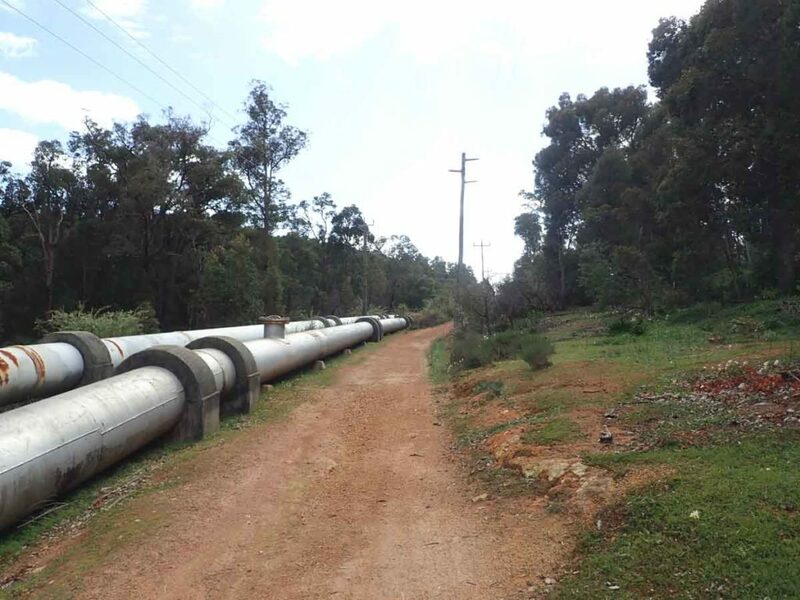 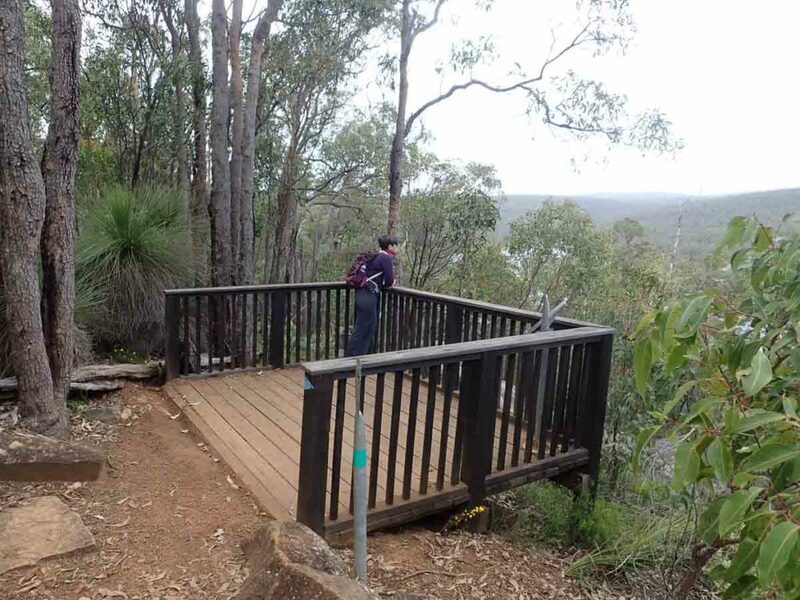 This Mundaring Weir to Ball Creek Campsite walk can be completed in less than half a day but it also fits the bill for those looking for an easy walk to do as a first time overnight camp. 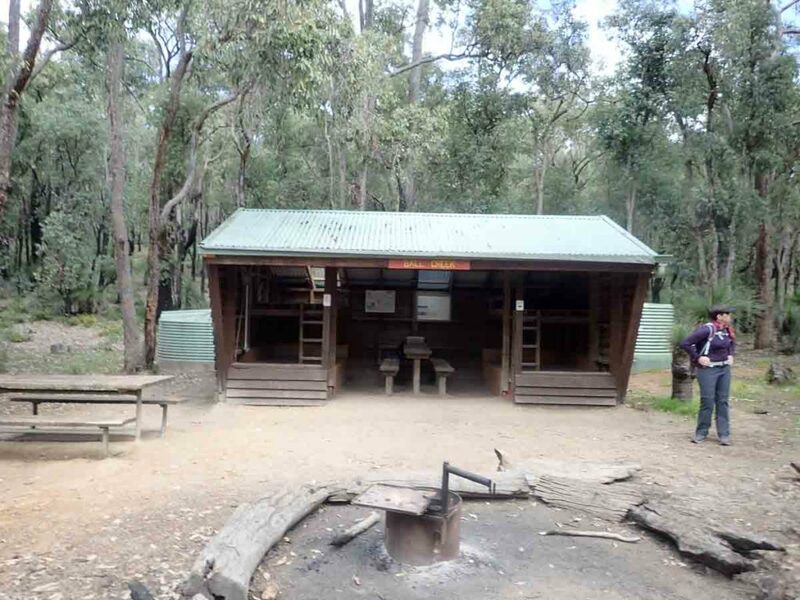 This campsite and the trail to it are part of the 1000km Bibbulmun Track walk that runs from Kalamunda on the outskirts of Perth, to Albany in the south. 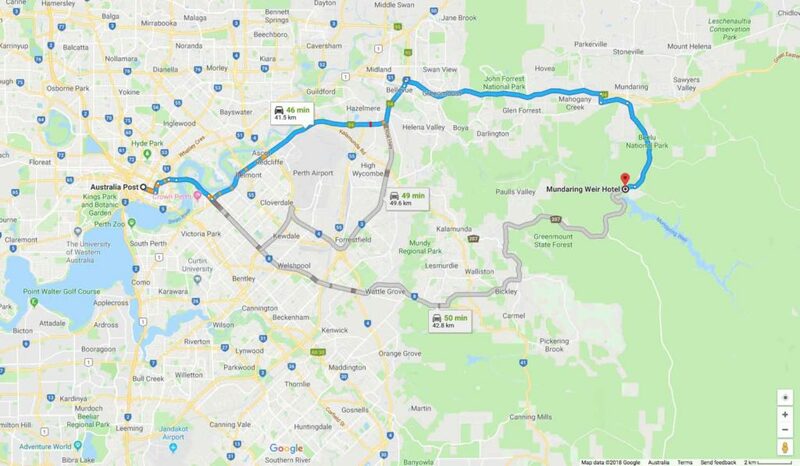 In doing this walk I suggest starting from the Mundaring Weir Hotel which is around an hour’s drive from the centre of Perth. 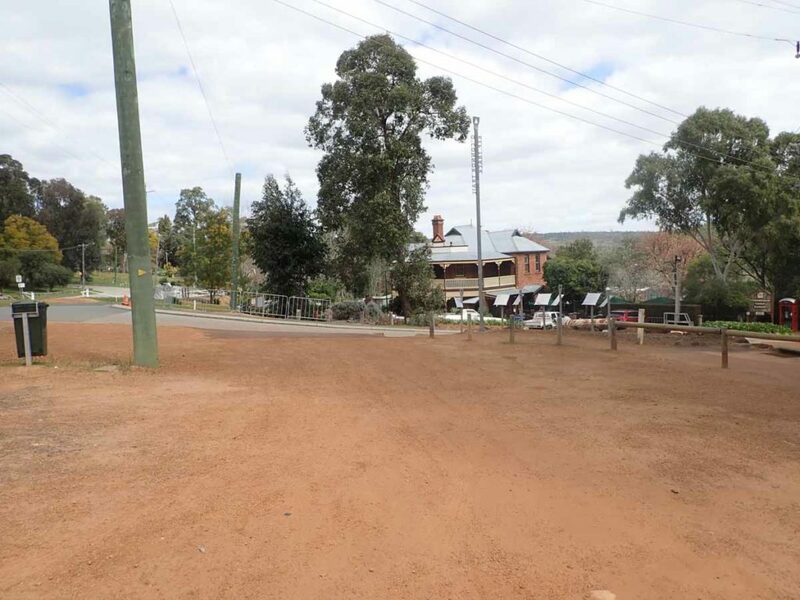 Either get dropped off at the hotel or if you are driving yourself try to avoid parking in the hotels relatively small car park. 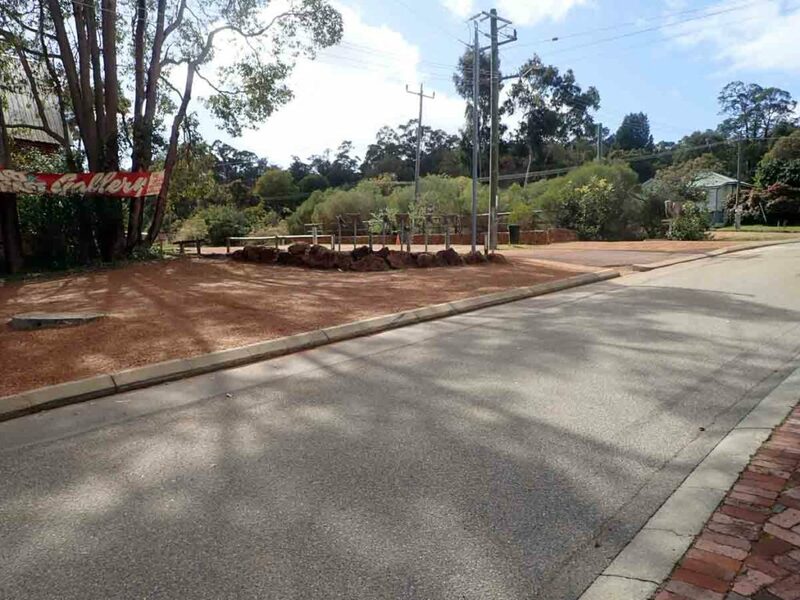 Once you reach the hotel either park along the small side street adjacent to the hotel or across the road in the first carpark adjacent to the Mundaring Weir Arts and Craft Centre. 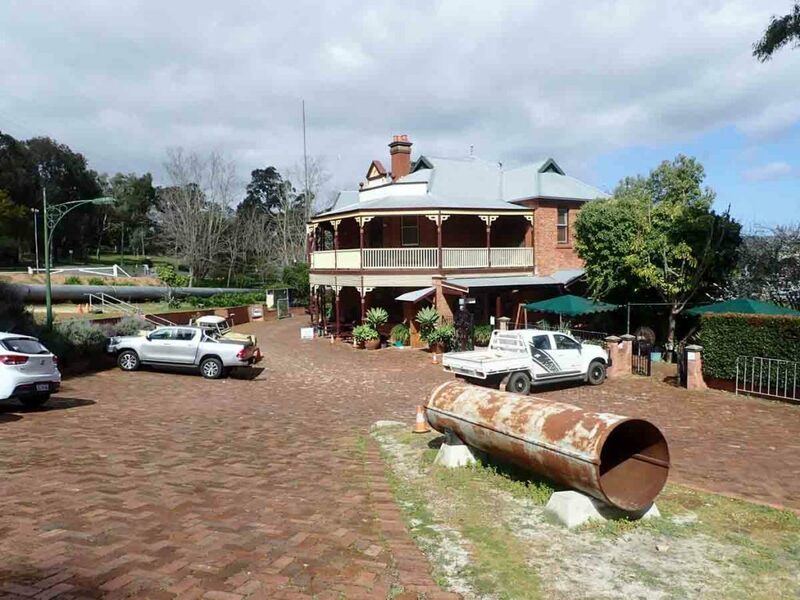 Be aware that this centre is open on the weekend so try to turn up late in the day as the carpark is emptying out so you don’t impact on their trade. 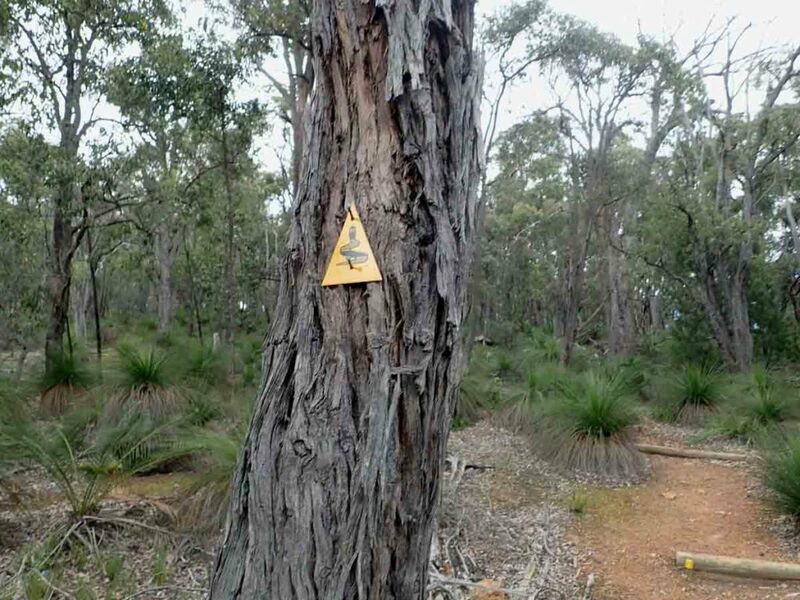 From the hotel you start you walk by heading from the hotel, past the craft centre (away from the dam) by following the yellow and black Bibbulmun Track signs which will also take you parallel to the large water pipes. 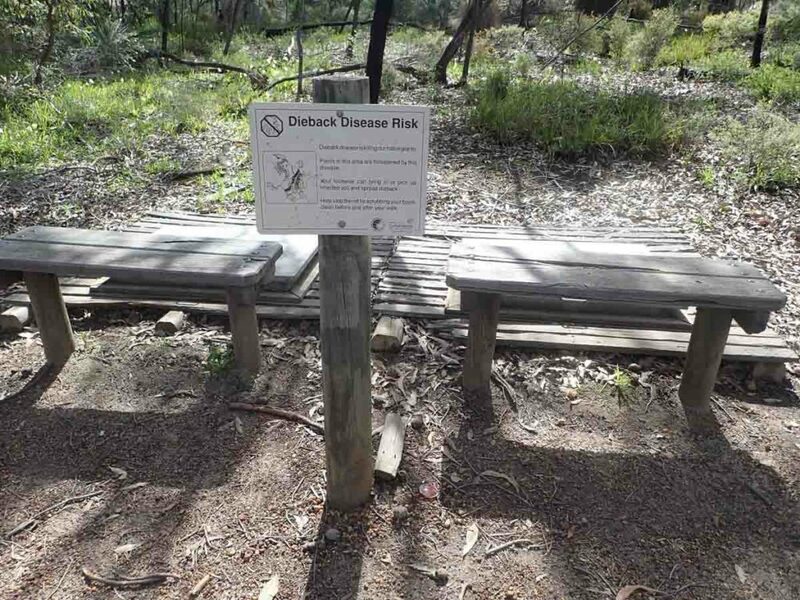 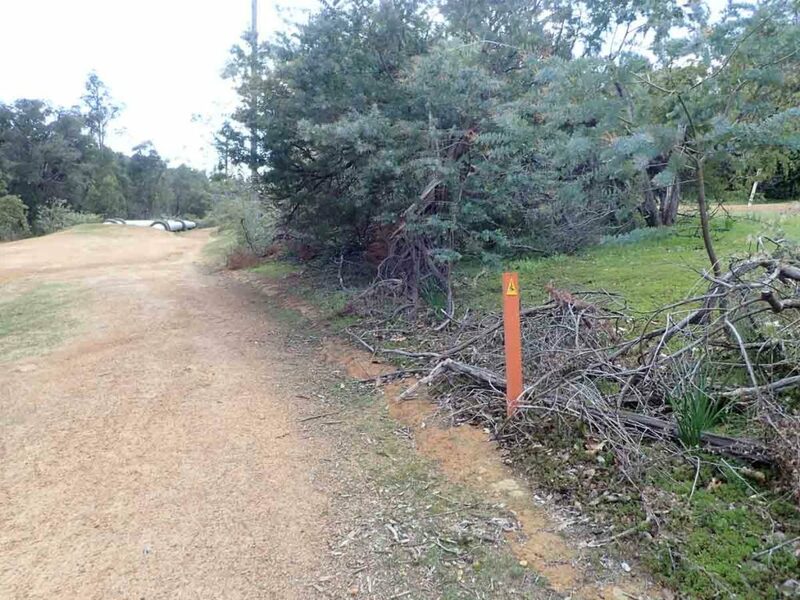 This is an easy walk to follow but pay attention and keep an eye to for the trail markers as around 400meres after you start you will turn to the right and start heading up the hill to the Perth Hills Discovery Centre. 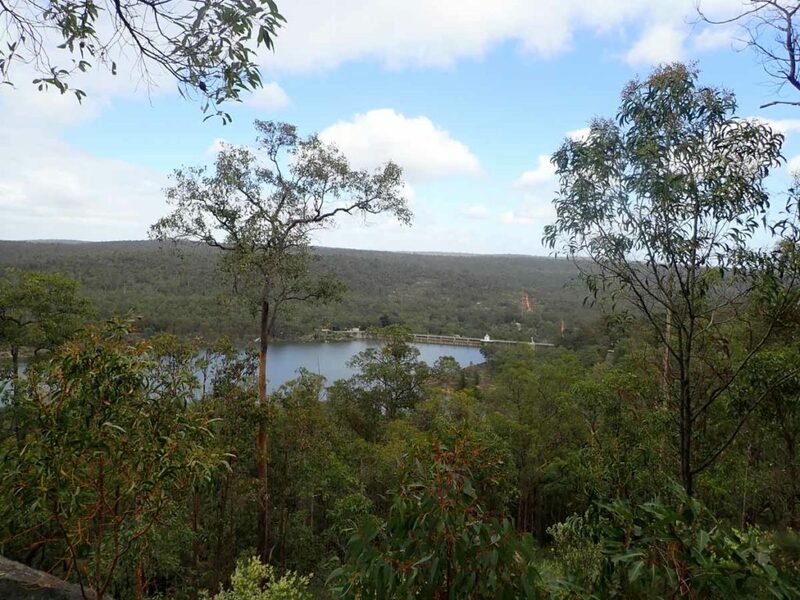 Most of the walk up to the the Discovery centre is on management road but there is a small diversion off the road that will take you down all slightly to a viewing platform to the lake and dam wall. 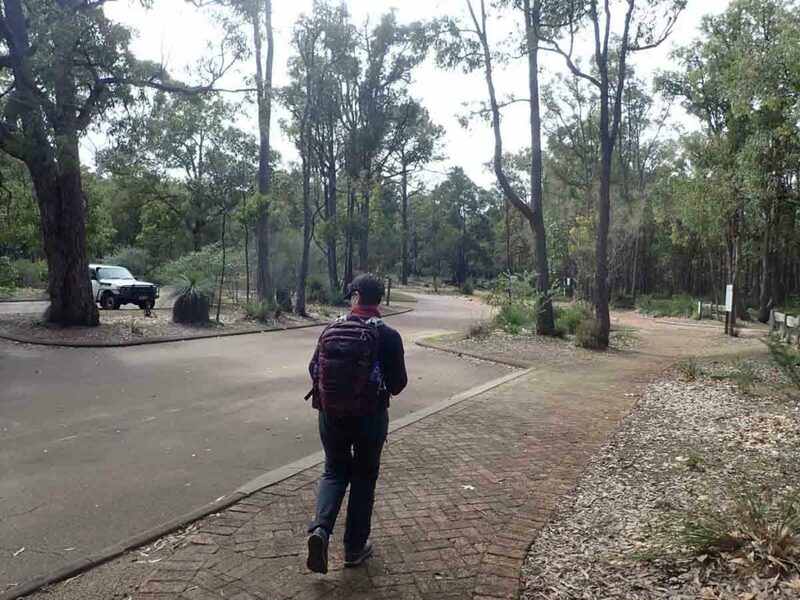 The walk actually runs through the middle of the discovery centre and once you wound your way through it the trail is now all on walking track unit you reach your destination. 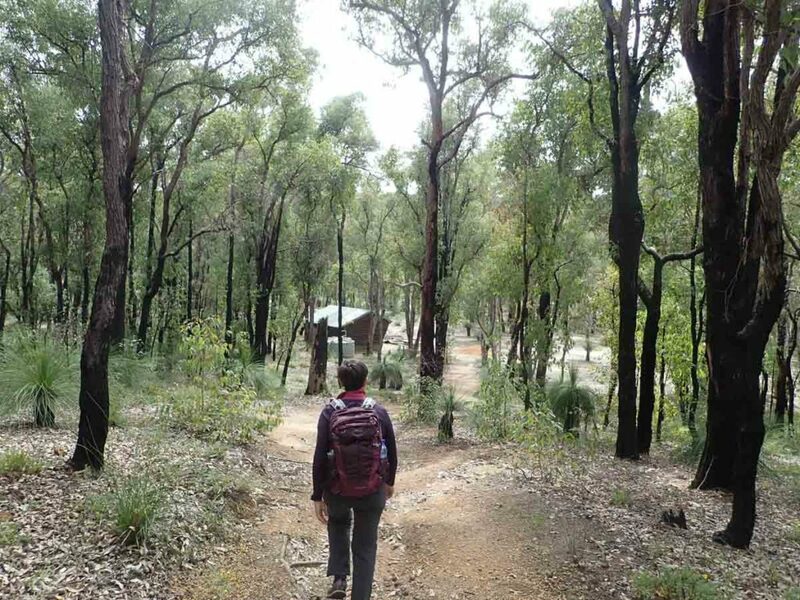 So long as you have a basic level of fitness this is an easy walk that will get you to your camp in around 2-2.5 hours. 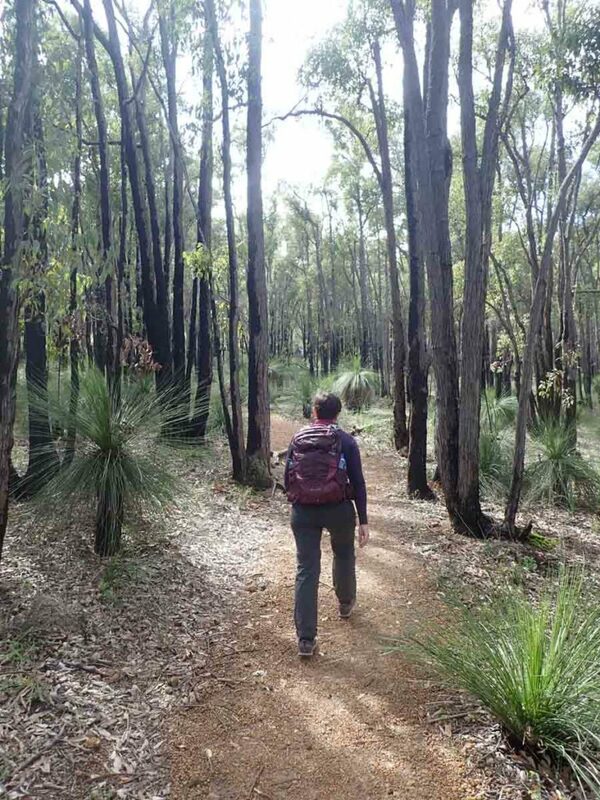 Even for those with less that good fitness will easily manage this walk so its a very good choice for those looking at branching out into overnight camping. 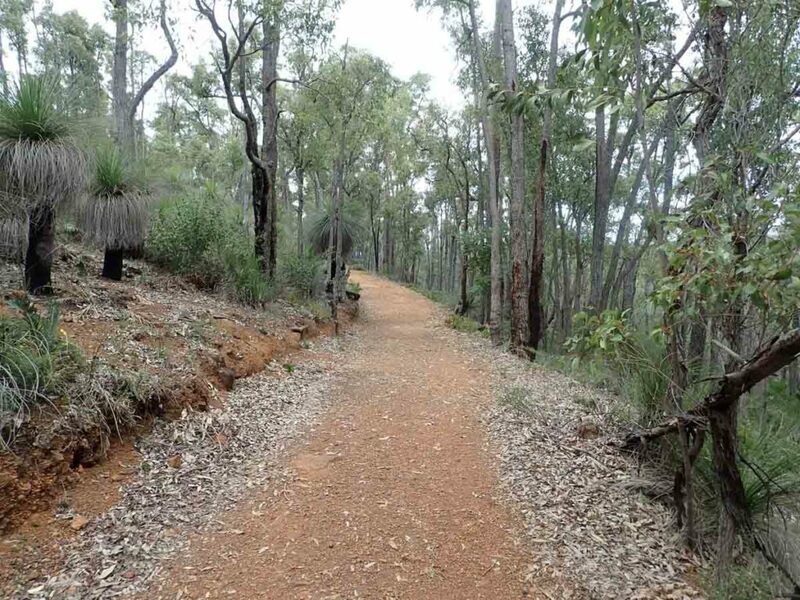 The walk back to the start point is almost all downhill or flat. 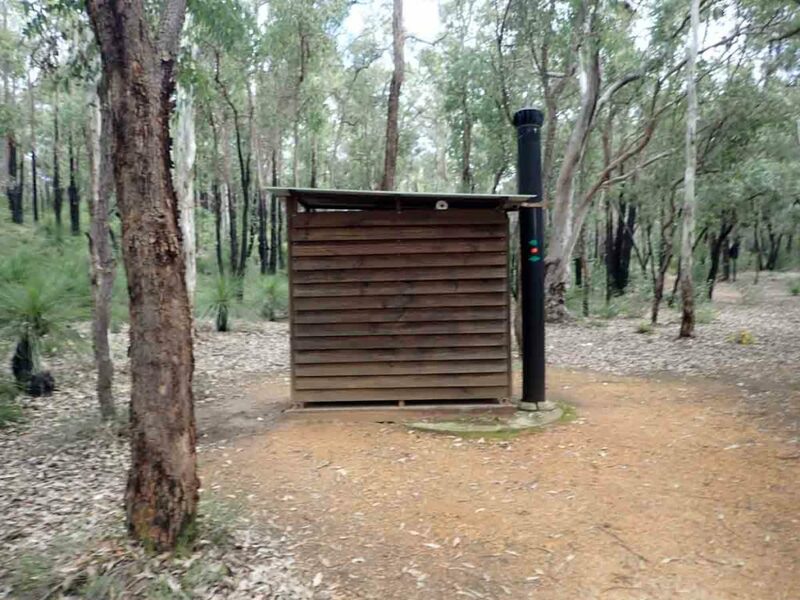 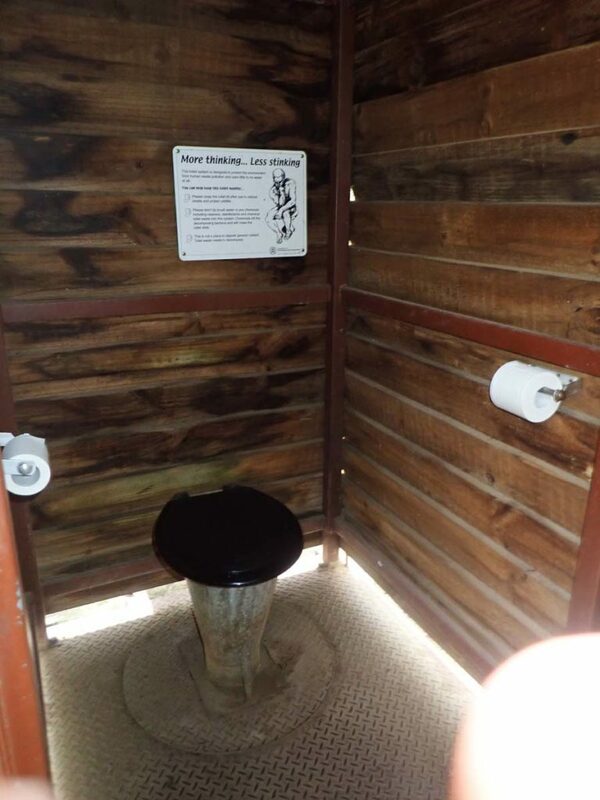 The Ball Creek campsite is one of a number of camps spread along the Bibbulmun Track and contains undercover sleeping platforms, water tank, as well as a composting toilet. 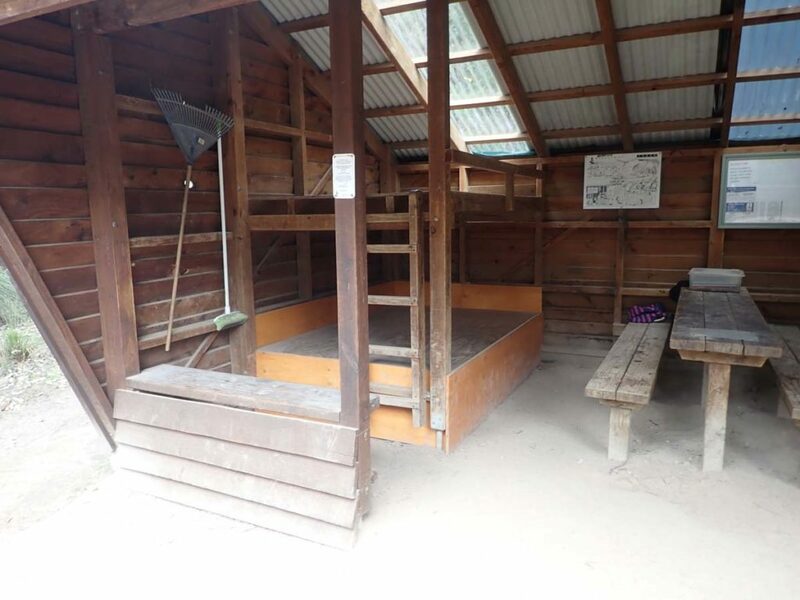 Being so close to Perth this camp is likely to be busy, particularly during the Autumn and Spring period on the weekends so I would suggest bringing a tent to set up on one of a number of the flat camping sites. 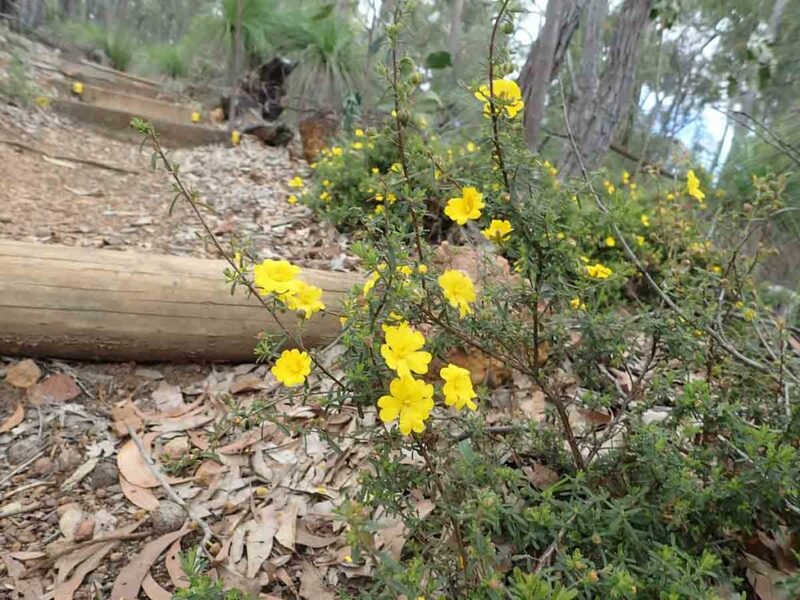 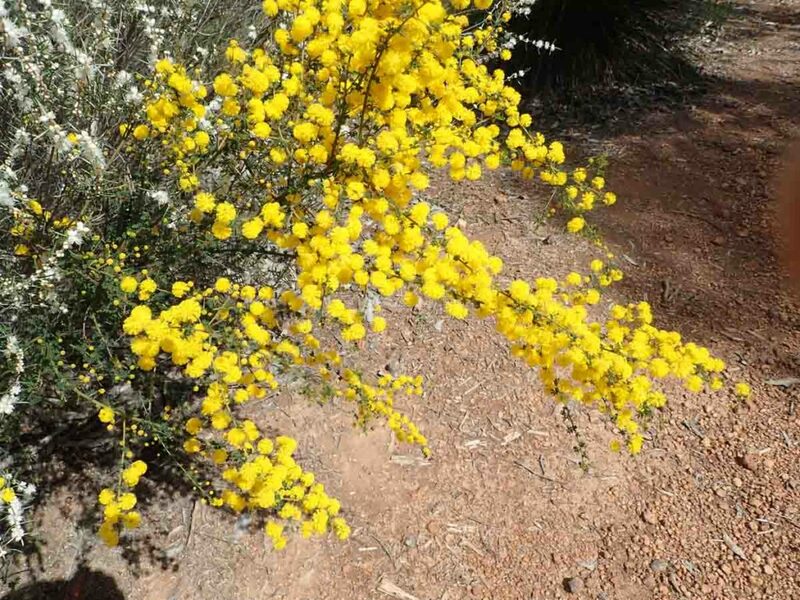 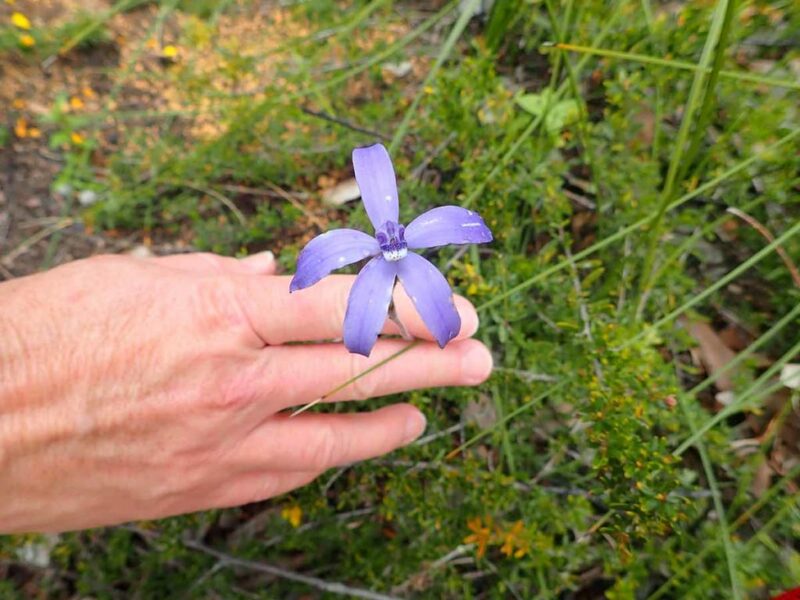 Depending the time of the year you will come across a variety of wildflowers and while there are more spectacular walks in the Perth region I still enjoyed my self to the point of doing this walk as a standalone less than a week after completing the Bibbulmun Track.